I was pleased and humbled recently when someone pointed out that I had made BuddyGuard’s top 100 tech influencers list. 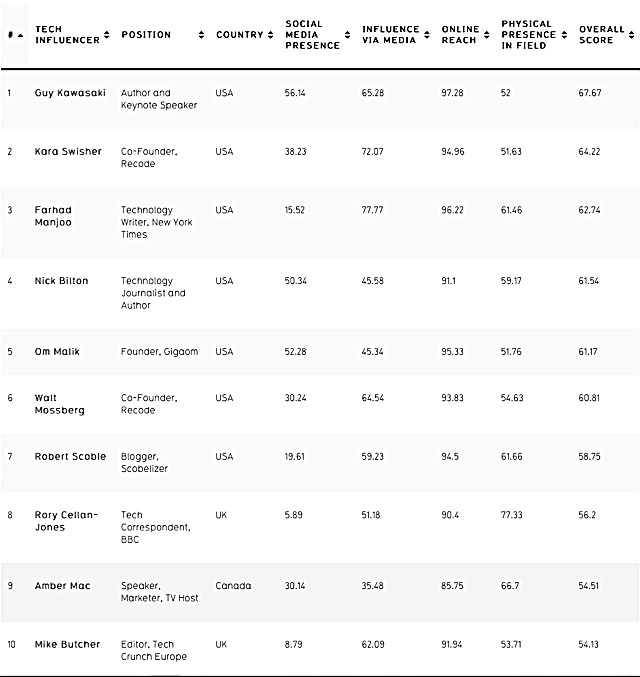 Obviously measuring this kind of thing is difficult (though they do use an impressive array of tools to get the rankings), but I can’t complain about being shown as the top Canadian influencer on the list and ninth overall worldwide (as well as third under “Physical Presence in Field”). 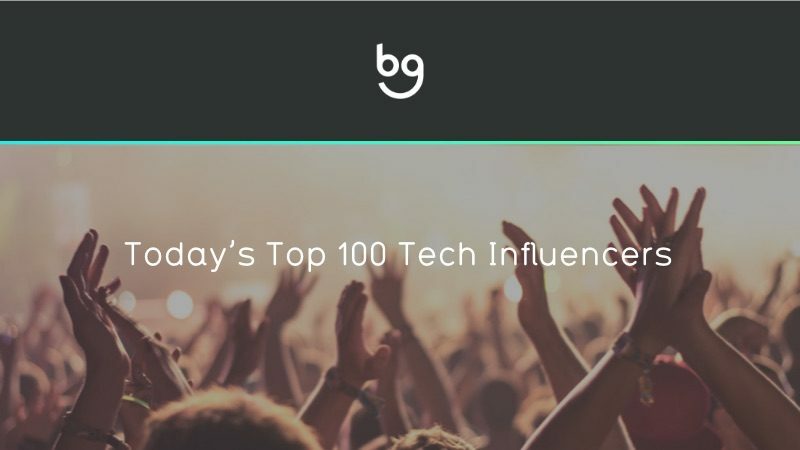 Lots of friends and familiar names on the list, including Guy Kawasaki in top position, Om Malik, Walt Mossberg, Robert Scoble, and more, so I’m definitely in good company. Thanks to all my followers, who are really the ones who make this stuff happen – you guys rock! PS: If you’d like to talk to me about influencer-related work or other marketing then just fill out our contact form and we’ll get right back to you.